Picture a meadow surrounded by huge mountains on either side of it. Running through the center is a dreamy stream, the sky-punching mountains soar up in the background and a few wooden houses inhabited by tribes. Now that’s what Siiro village is about in Ziro of Arunachal Pradesh. I had never in my life thought about how beautiful north-east can be. You have to be a wild wanderer here. It took me few days before I could settle down to Arunachal mentally, emotionally and physically. New people, new language, bumpy road rides, locals are unfamiliar with tourism, sun sets as early as 4:30, village seems to halt after 5:00 pm, very less (almost no) transportation and a few notorious people. I was almost on the verge of ending my trip when a fellow traveler friend of mine wrote to me, ‘These places either put a bullet in your head or welcome you’. Next day woke up with a fresh mind to give it one more try. And everything changed after that morning. I m still in North-East traveling, feeling happy for not giving up so early, succeeding each hurdle day after day and place after place. I have traveled a lot of places but the sense of achievement which I felt here I have not felt that anywhere else. The people living in Siiro valley are very friendly and any one can walk in, Say hello and enjoy rice beer, chit chatting with locals. The beautiful valley is the perfect place to lay on the grass, spend quality time with friends or perhaps read a book. It’s a self sustainable village with people living in harmony with nature. This place has a lot to offer to people who are seeking beautiful unexplored regions in India. The valley has plenty of walking and biking trails. Renting a bicycle is the best way to travel here and explore from one basti (village) to another. Do give it a visit to try the taste of India’s first kiwi wine and maybe carry some bottles home. Trust me when I say this, it was super DELICIOUS! You can also have a tour around factory to see how it is actually made. Trek to take: Talley Valley is a four-day trek into the wilderness for people who seek adventure. A guide is recommended since it is less traveled by people and do carry your own food and tent. 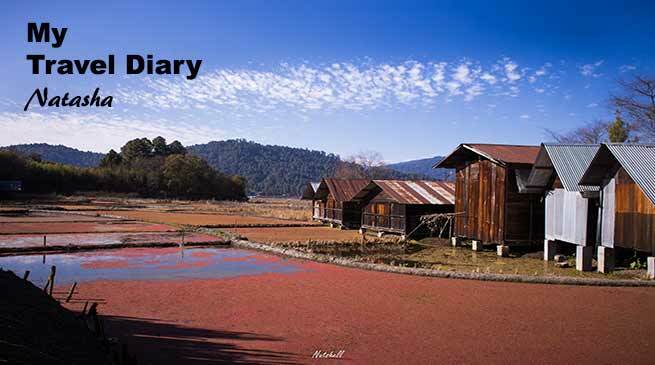 Stay: There are 5 homestays in Ziro Valley apart from hotels and resorts. One must stay with locals to know the culture and tribes more closely. I would recommend Hibu Tatu’s homestay. How to reach: Guwahati and Jorhat are the nearest airports. From there runs shared taxi’s till Hapoli Village. Best mode of transportation to explore valley yourself is to rent a bicycle. For music enthusiasts September is the best time to visit this beautiful valley during Ziro Music Festival. I hope you guys enjoyed reading the blog. Ziro is an Village in Arunchal Pradesh which is hidden beauty of nature . located in northern part of India . Plus geographical benefit to Ziro is must visit place for nature lovers and hikers .